The laser can be used to remove varicose veins, spider veins, permanent make-up, birthmarks, most tattoos, blemishes, freckles, age spots, wrinkles, and creases. 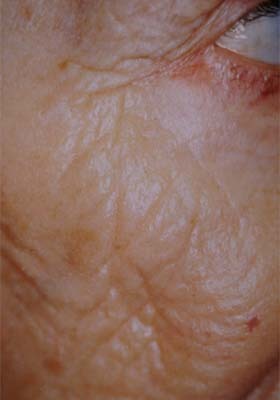 Wrinkles, lines, and brown spots fade after laser resurfacing. 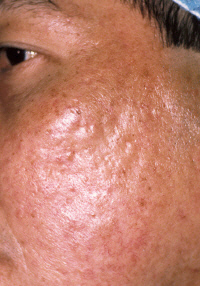 Generally once a blemish is treated it almost never comes back. A laser can remove blemishes in the top layers of the skin (such as freckles and spider veins) in one treatment. 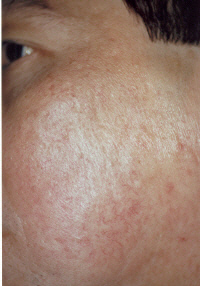 Two or more treatments may be required for some other types of blemishes. 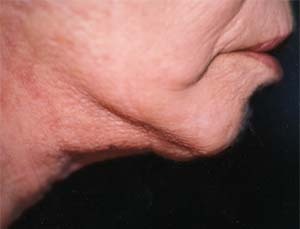 As the skin heals it feels tighter it looks smoother and softer, enhancing the appearance. The laser also seals nerve endings and blood vessels so there is little bleeding or pain. A laser successfully removes blemishes because the beam it produces is a high-energy light that can be precisely controlled to remove 25 microns of skin layer each time. 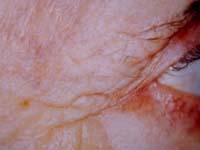 Because the laser beam is very precise, it causes little tissue inflammation and thereby reduces the chance of scarring. 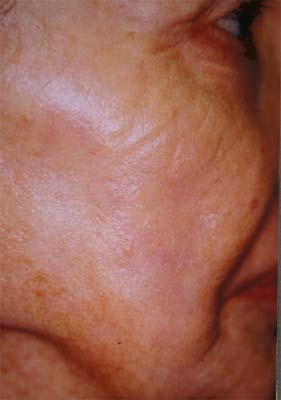 The photographs below illustrate improvements to the skin available through laser technology. 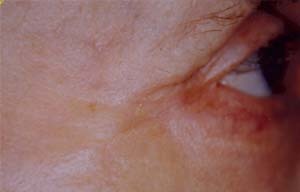 This surgery is performed to remove sagging tissues, which can include: skin, muscle and protruding fat pockets on the upper and lower eyelids. Dr. Pham uses laser surgery to remove these tissues; the incisions are made in the natural skin folds of the eyelids, which makes them virtually unnoticeable after healing is completed. 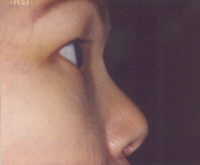 Rhinoplasty augments the radix and dorsum of the nose. 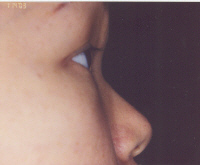 The tapered profile of the implant provides a more aesthetically pleasing nose for Asians or other ethnic rhinoplasty patients. Dr. Pham designed a patented porous polyethylene implant sold by Porex Surgical, Inc. under the product name, MEDPOR® Petite Nasal Dorsum Implants. The interconnecting, omni-directional pore structure of the MEDPOR® Implant has been successfully providing surgeons with an excellent alternative to grafts for nasal augmentation since the 1980's. 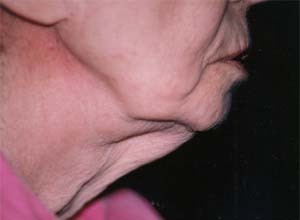 Rhytidectomy is performed to remove loose, sagging, or excess skin from the face and neck. This can be done under I.V. sedation or general anesthesia depending on the extent of the surgery. This allows the patient to be comfortable during surgery. All surgery is individualized to fit the patient's needs. Laser resurfacing is performed with the state-of-the-art combined wavelength laser. Dr. Pham is the first surgeon in the U.S. to perform laser aesthetic surgery using simultaneous combined wavelengths. Is used to smooth out the wrinkles around the eyes and eyebrows. 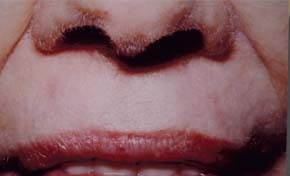 Crow's feet can also be treated with a combination of laser and Botox. 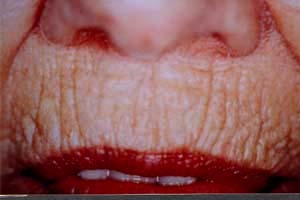 Aging lip lines can be removed with minimal pain and discomfort using the most advanced technology in skin rejuvenation. All treatments are done at our Accreditation Association for Ambulatory Health Care (AAAHC) accredited Aesthetic and Refractive Surgery Medical Center with state-of-the-art equipment. Our accreditation is one of the important things we do to earn your trust. It tells you that the AAAHC's independent team of health care professionals has taken a close look at us and has found that we meet their rigorous, nationally recognized standards for quality health care services. We are the only accredited center that offers comprehensive aesthetic and refractive surgical services in the South Bay.